ePub (electronic publication) is an open book standard that publishers and authors use for distributing their books online. It is a globally accepted eBook format which can be read on a wide range of electronic reading devices such as desktop computers, portable eBook readers, and mobile phones. Most publishers convert their eBooks into an intermediary format such as XML. This is because the conversion from one eBook format to other is a complicated and costly affair. However, conversion from XML to any prevailing eBook format is a far simpler process and is much less costly. Therefore, Extensible Markup Language (XML) has become one of the most common standards in which publishers make their eBooks available to electronic readers. So, if you are a publisher or an author who has an XML eBook and wants to convert it into an ePub format, you have come to the right place. 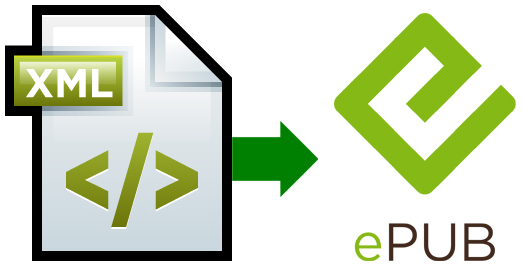 At IT Global Solutions, you are ensured of good quality services and consistency in XML to epub conversion. We have converted eBooks of different formats into ePub format for several large publishing houses. Therefore, joining hands with us means extending your material to the global eBook industry. We guarantee the best quality conversion at the lowest cost. IT Global Solution offers you with next generation, innovative XML to ePub conversion services. We follow a manual process for conversion in order to exercise a larger control on conversion and formatting on the file. Guaranteed quality services at low costs are our hallmark. Following is the step-by-step guideline for conversion from XML to ePub format. Once we receive the file, our team of experts will determine and inform you about the total cost for converting into ePub format and the time required for conversion. If you have any doubts regarding the cost or the conversion procedure, you can call us anytime and speak to us directly. You can call Bob at Supremus Group at (515) 865-4591. Once we receive the payment, we will start the conversion from XML to ePub format. Following a thorough quality check, we will email you the ePub format file for your review. You can go through the file and let us know if there are any corrections or changes required. Once you are satisfied with the conversion, we will send you the final outcome which you can upload to your account. We provide XML to epub conversion services for authors, publishers, and copyright owners only. If the book is no longer copyright protected, please provide us with the full publication details. We can receive books up to 15 MB. In case, the size of your book is larger than 15MB, send it through free service of www.yousendit.com OR upload it to our FTP server. Please contact us for a login and password. IT Global Solution can help you convert books from any format such as word to ePub format, scanned the document to ePub format, PDF to ePub format, HTML to ePub format, etc.